Samsung has launched a new version of its Chromebook Pro laptop in the US with one major addition to the formula – a backlit keyboard. 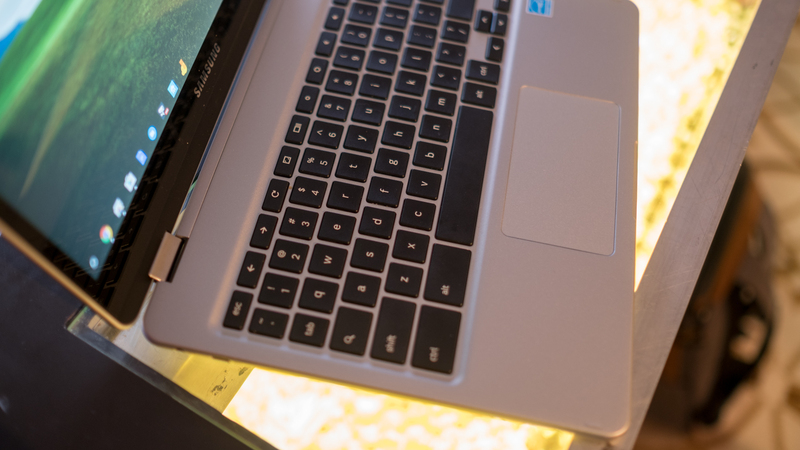 This was a sticking point for many, and something we flagged up in our review, when we observed that Samsung has made the only premium Chromebook which doesn’t have backlighting for the keyboard. It’s obviously a useful feature for helping to see which keys are where when you’re working at night or in a dimly lit room. The new spin on the Chromebook Pro keeps the same core spec, somewhat disappointingly: you still get a Core m3 processor plus 4GB of system memory and 32GB of storage, with the only change being to the keyboard. The price remains the same as the non-backlit version, which is still available to buy, being pitched at $599.99 (around £420, AU$770), and this fresh model is on sale over in the US right now. We sang the Chromebook Pro’s praises in our review last November, with one of the highlights being the stunning 12.3-inch 2,400 x 1,600-resolution display, not to mention the overall design – save for the keyboard, which aside from lacking backlighting, we also felt was a little cramped. Sadly Samsung hasn’t done anything about the size, of course, but we can always hope for further work on that front with the sequel to the hybrid.